Happy Friday to you all! I thought I’d try something a little different today, a fashion DIY. Most of us girls have one of these somewhere on our person, whether it’s in our pocket, on our wrist, in our purse or actually in our hair. 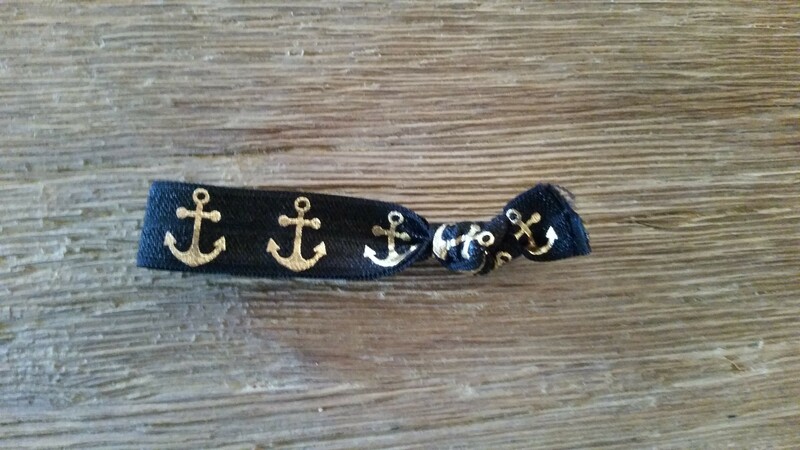 You guessed it, it’s a hair tie! 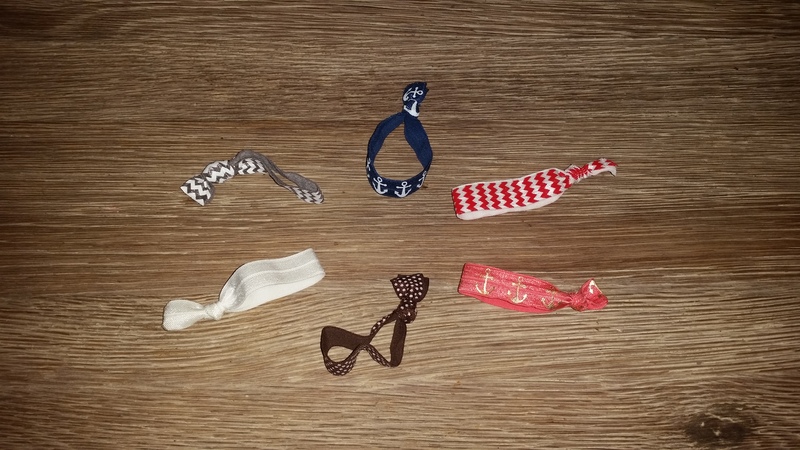 A few years ago, a certain style of hair tie became popular. That hair tie is called the Emi-Jay. They not only work great but also don’t leave a harsh dent in your hair after wearing it for a while. They’re also cute so women can wear them on their wrists for easy access. 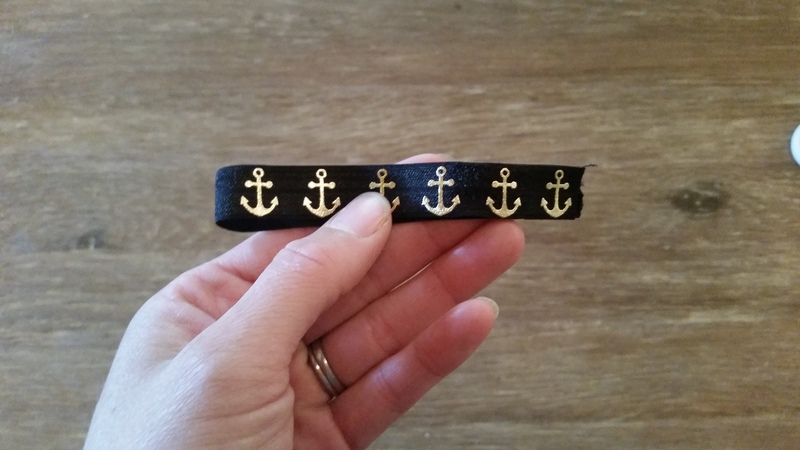 The best thing about these hair ties is how easy they are to make! 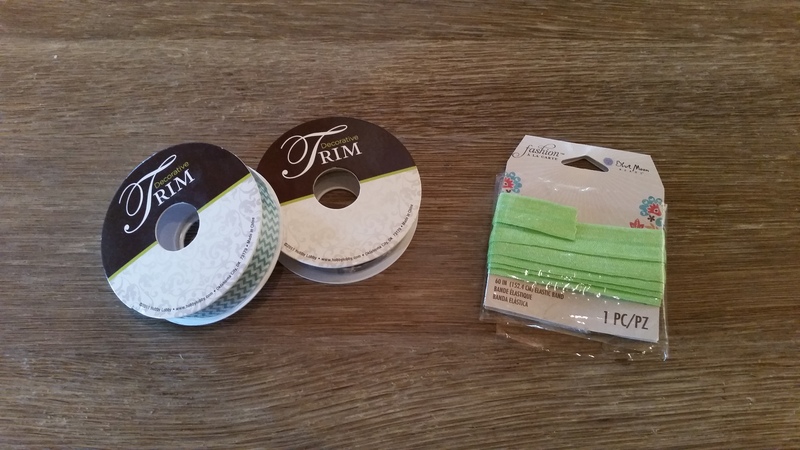 Initially I had trouble finding the type of elastic ribbon needed to make them. That is until Hobby Lobby came to town. Now the trouble is deciding which color or pattern to buy! 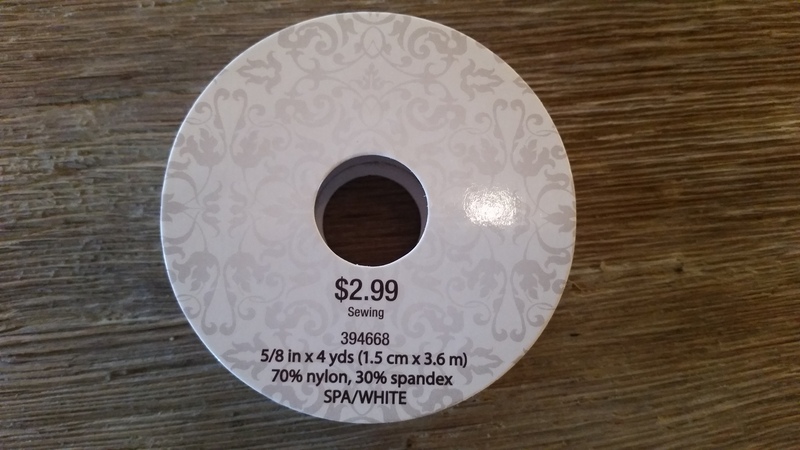 You can get a roll for around $3 (unless you catch a 50% off sale like I just did). 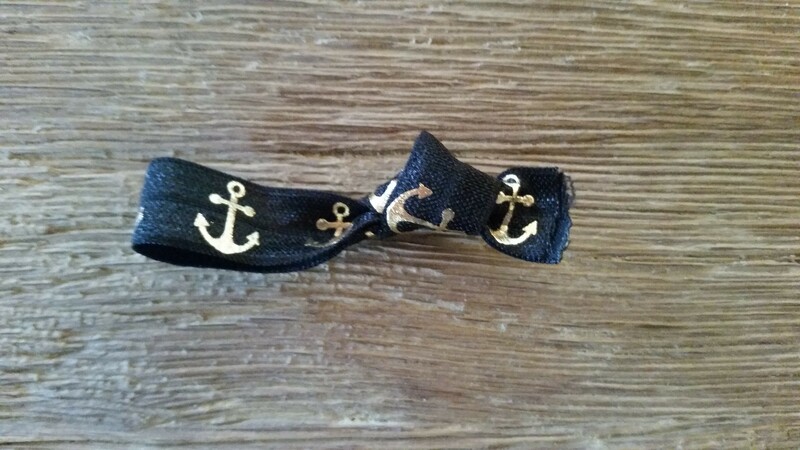 I have also seen websites that sale this ribbon. 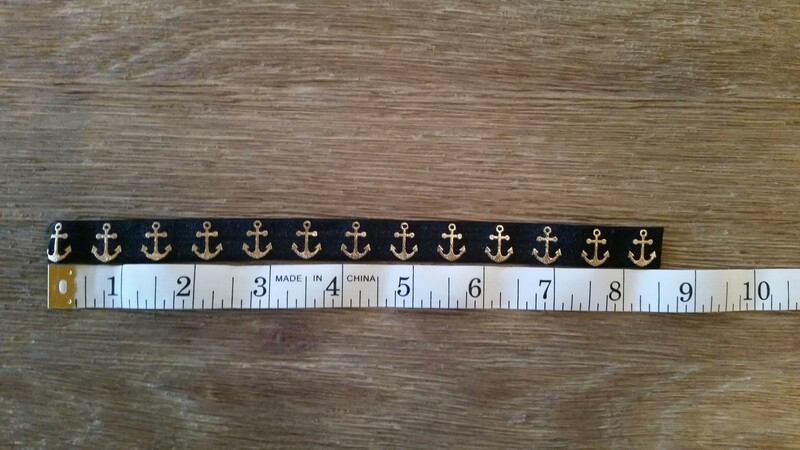 Measure a piece of elastic to 8.5 inches and then cut. Fold in half so that the ends meet and then tie a knot. After tying, it will look like the picture below, to the right. 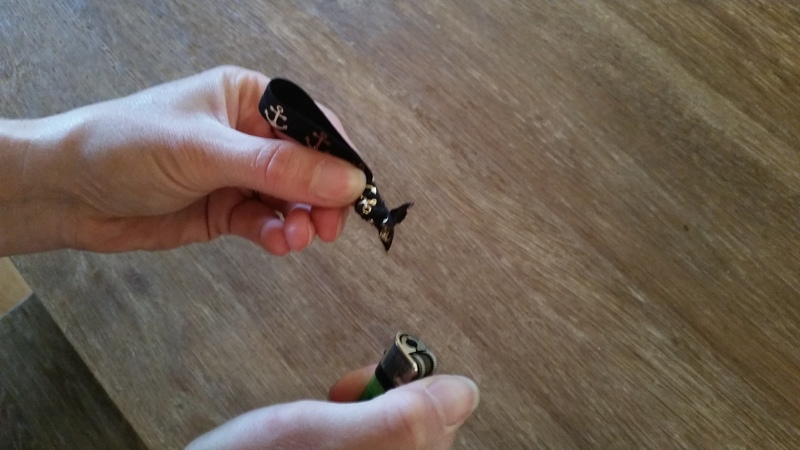 Pull the elastic so that the knot is pushed further to the end. 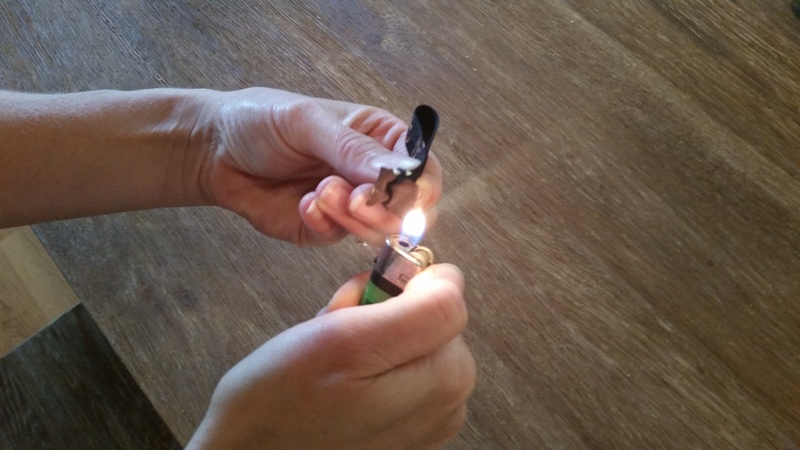 Take the lighter and burn each of the loose ends of the hair tie. This will keep it from fraying. Whoola! 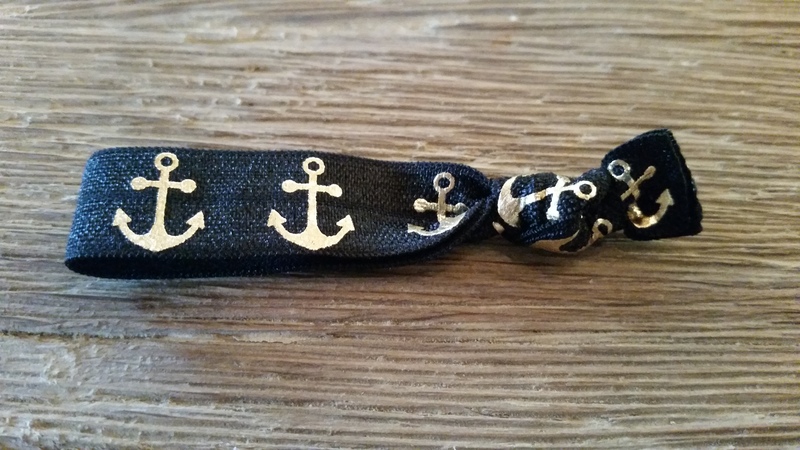 You just made your very own Emi-Jay style hair tie. Great job! I told you it was easy! Can you believe these are often sold for over $2 a piece! I can make about 19 from one roll of elastic. Which remember, was less than $4. Have fun and please share with us pictures of Emi-Jays you make. Look forward to hearing from you all!